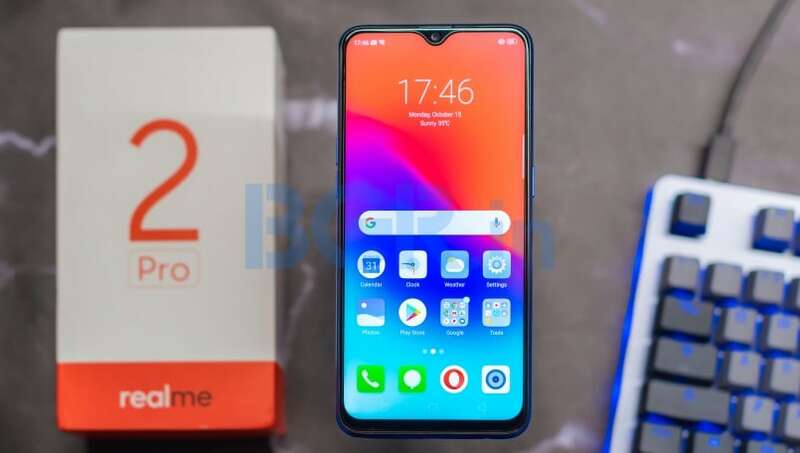 Realme 2 Pro is getting discounted by Rs 1,000 during the Mobiles Bonanza Sale on Flipkart. The smartphone is available at discounted price of Rs 11,990 from Flipkart, Realme’s own website and offline stores. It features a 6.3-inch Full HD+ display, Snapdragon 660 SoC, up to 8GB RAM and 128GB storage. It is equipped with 16-megapixel + 2-megapixel dual rear cameras and a single 16-megapixel selfie shooter. It runs ColorOS 5.2 based on Android Oreo and is backed by a 3,500mAh battery. During the Mobiles Bonanza Sale on Flipkart, Xiaomi’s best-selling Redmi Note 6 Pro is available at a discounted price of Rs 10,999. The discount is including the exchange offer where customers get extra Rs 1,000 off over regular exchange value. To recall, the Redmi Note 6 Pro was launched at a retail price of Rs 13,999 for the 4GB RAM variant but is being discounted by Rs 3,000 during this sale. It is an incremental update with 6.26-inch Full HD+ notched display, Qualcomm Snapdragon 636 chipset and 64GB storage. It sports dual rear camera setup on the front as well as rear. It runs MIUI 10 based on Android Oreo and is backed by a 4,000mAh battery. It comes in four finishes – Red, Blue, Black and Rose Gold. Asus Zenfone Max M2 is the newest smartphone from the Taiwanese company launched in partnership with Flipkart. It was launched alongside the Zenfone Max Pro M2 at a starting price of Rs 9,999 but is being discounted by Rs 2,000 during the sale. The base variant with 3GB RAM and 32GB storage starts at Rs 7,999 while the 4GB RAM variant will set you back by Rs 9,999. Buying a generation or two old flagship smartphone at discounted price might make sense since they offer excellent display and great cameras. During the sale, Flipkart is offering the Galaxy Note 8 for Rs 36,990 while the Galaxy S8 is available for Rs 29,990. Both the devices come with Samsung’s Exynos 8895 octa-core chipset and up to 6GB RAM and 256GB storage. During the Mobiles Bonanza Sale, Flipkart is offering the iPhone XR from Rs 67,999, which is a discount of Rs 8,901 from its launch price. The cheapest iPhone in Apple’s lineup this year, the iPhone XR features an aluminum body with glass back and comes with 3GB RAM and 64GB or 128GB or 256GB internal storage. Powering the device is Apple’s A12 Bionic chipset coupled with a single 12-megapixel camera on the back and a 7-megapixel selfie shooter. It sports a 6.1-inch LCD display with Face ID support, runs iOS 12 and supports wireless charging. It is available in black, red, yellow, blue, coral and white colors. Xiaomi Redmi Go will be available via flash sale at 12:00PM IST today. Google Pixel 3 series starts at Rs 57,999 while 6GB RAM and 128GB storage variant of Poco F1 is priced at Rs 20,999. Nokia 6.1 Plus and Nokia 5.1 Plus are priced at 13,999 and Rs 8,999 respectively. Oppo F11 Pro and Vivo V15 Pro, the two mid-range smartphones with pop-up selfie camera, are available for Rs 24,990 and Rs 28,990 respectively. Oppo K1 with in-display fingerprint sensor is available for Rs 16,990 and customers get extra Rs 1,000 on prepaid order.